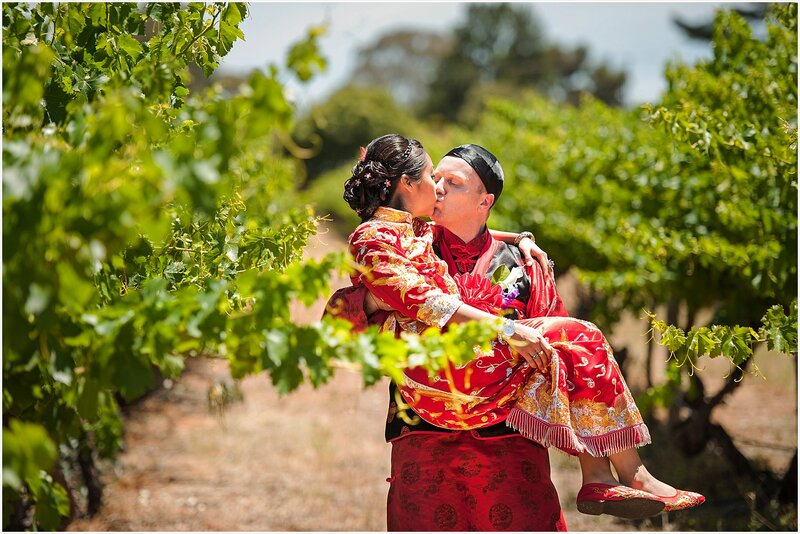 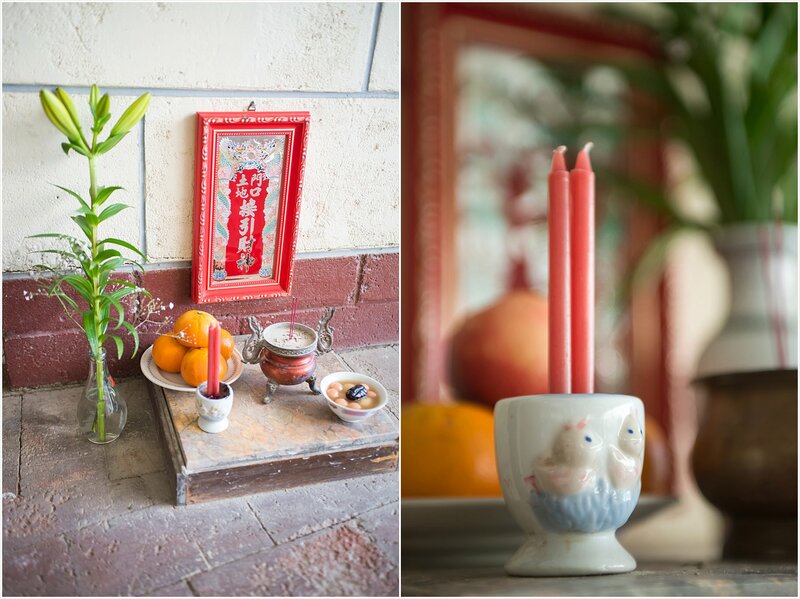 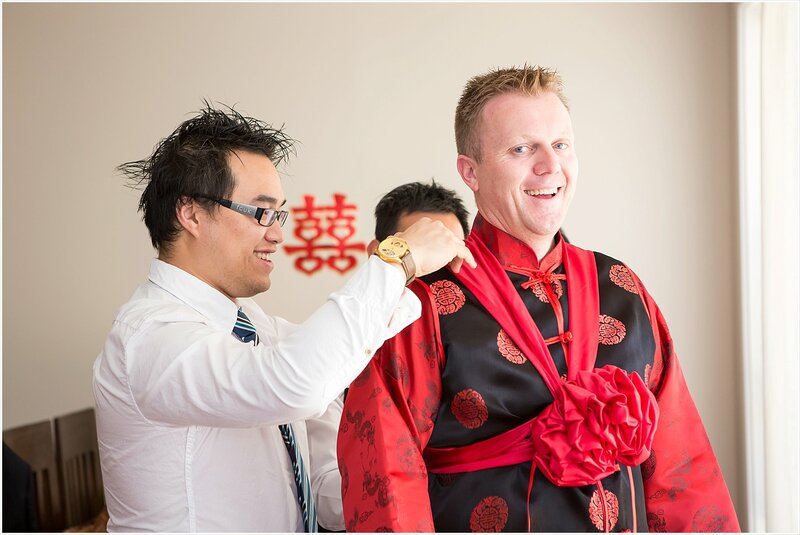 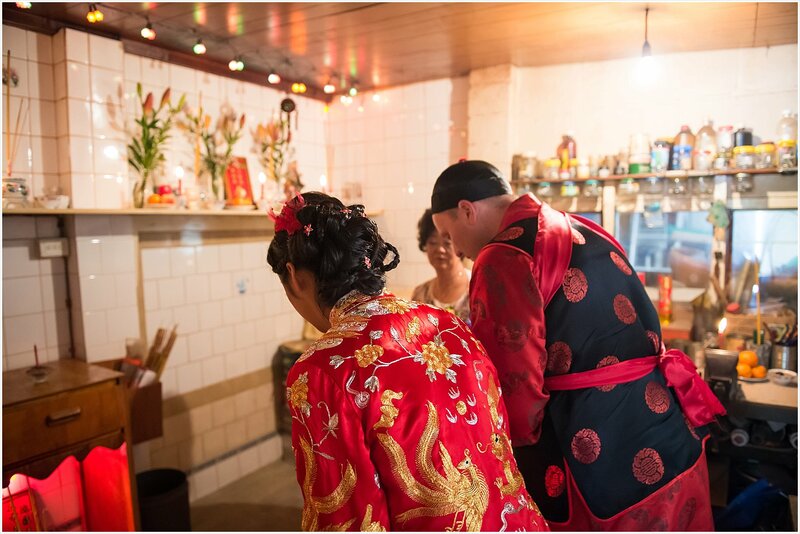 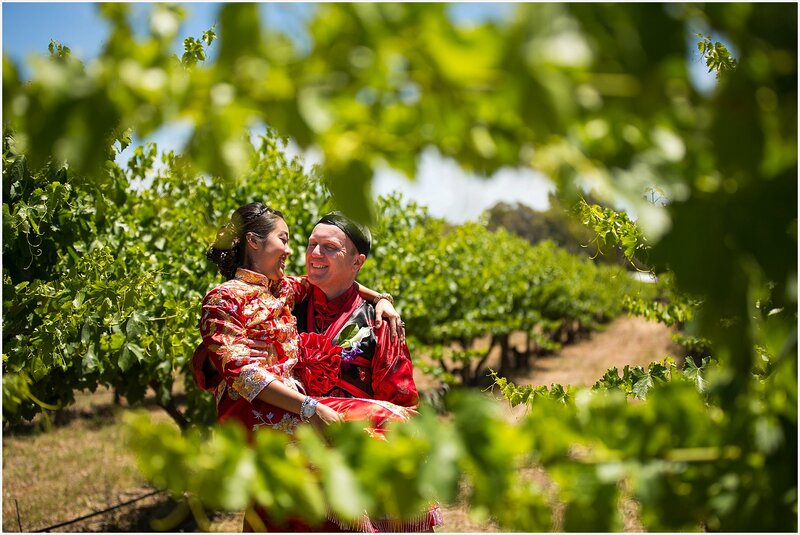 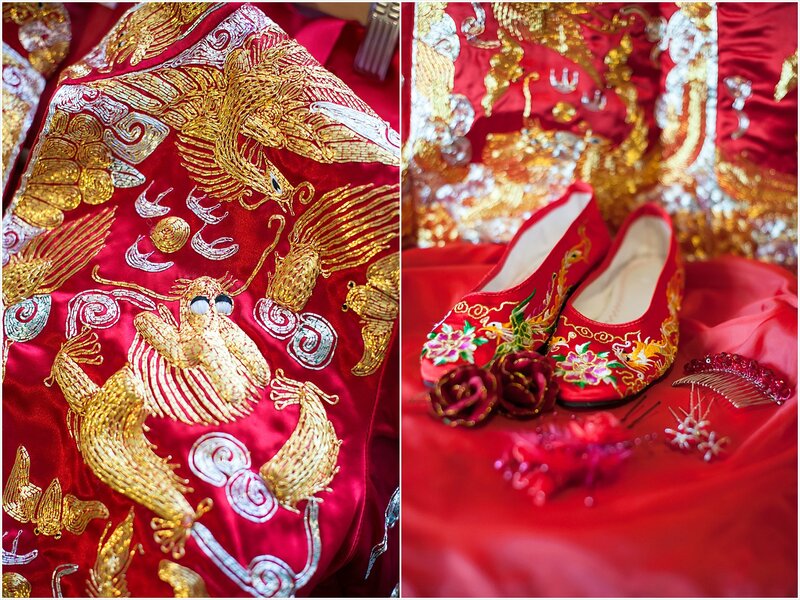 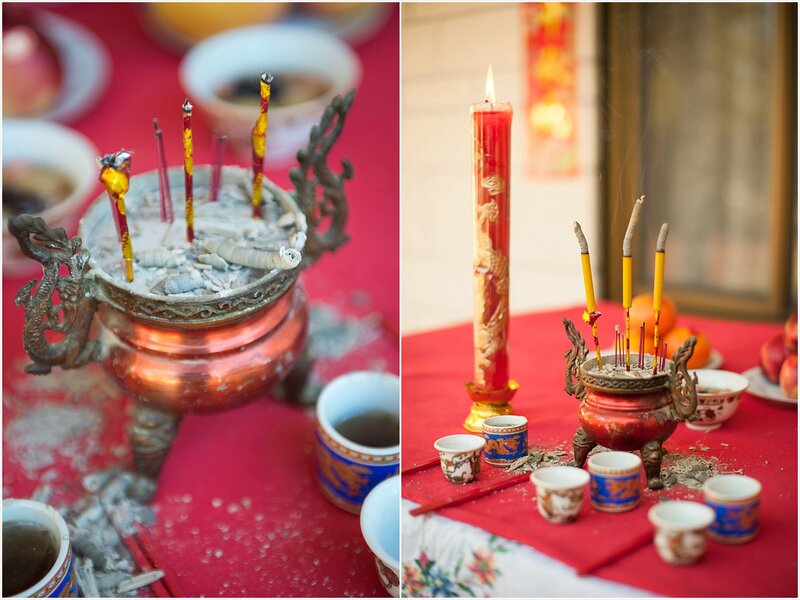 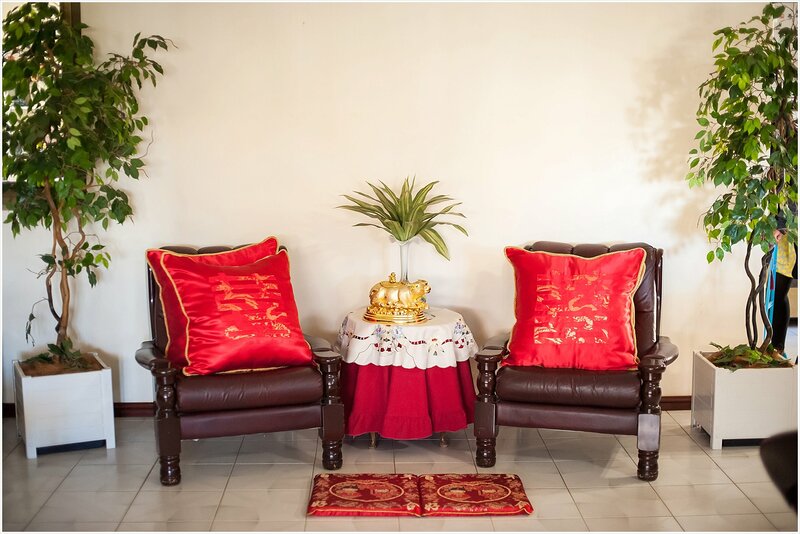 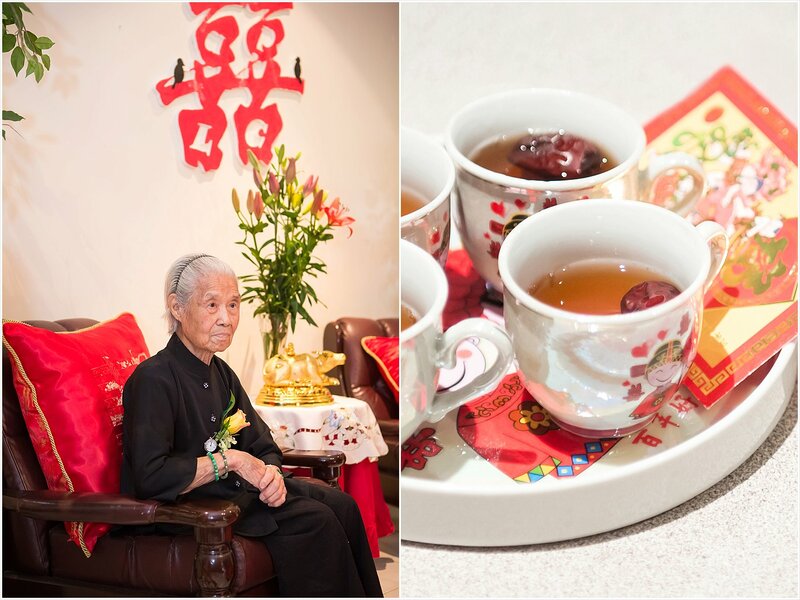 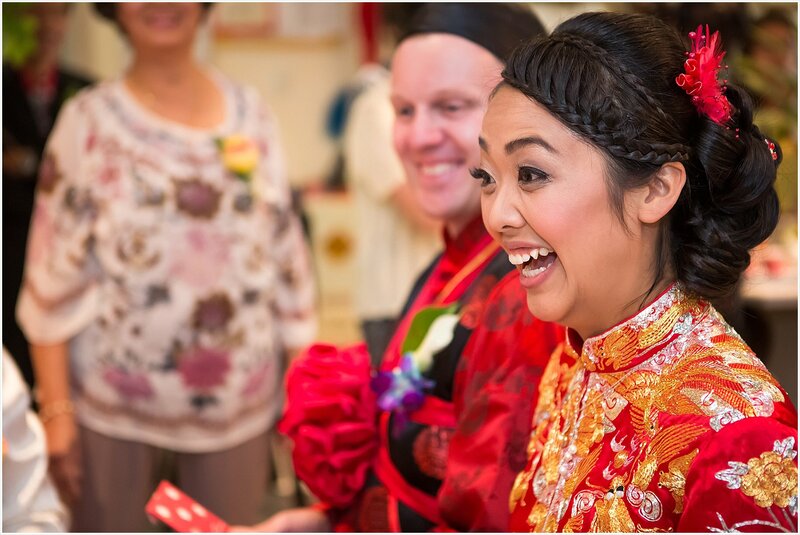 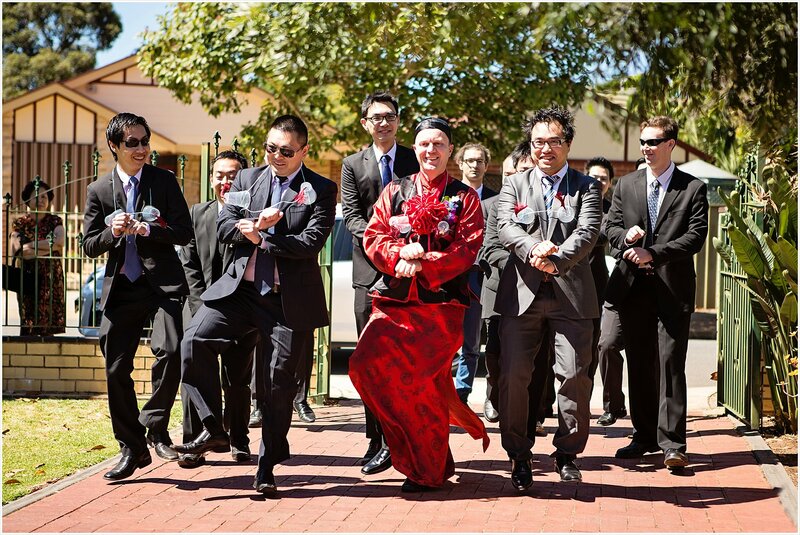 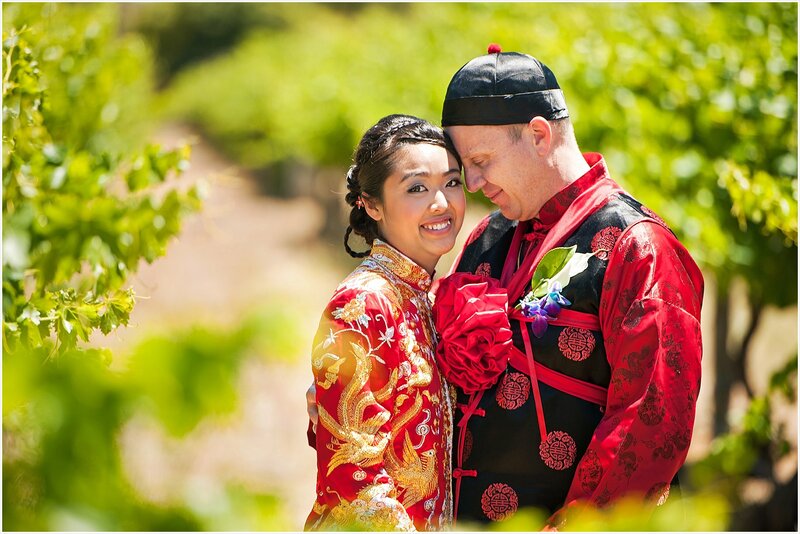 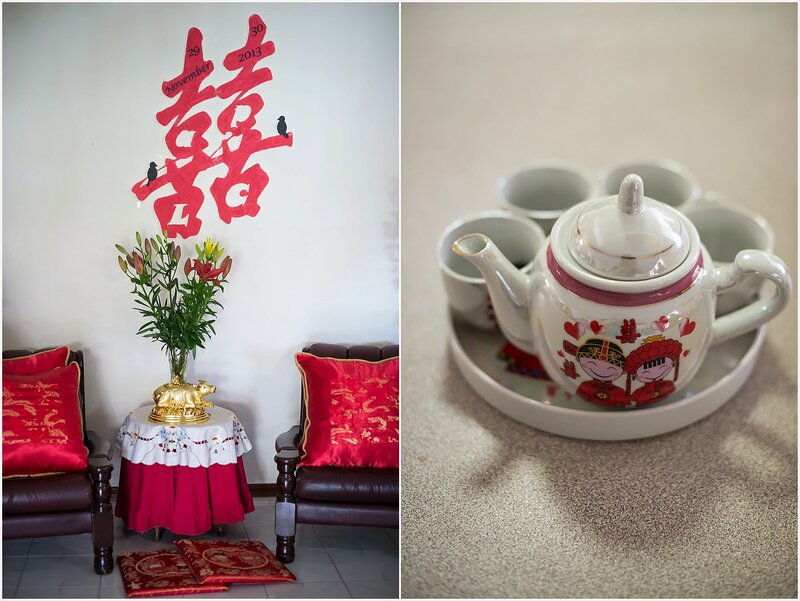 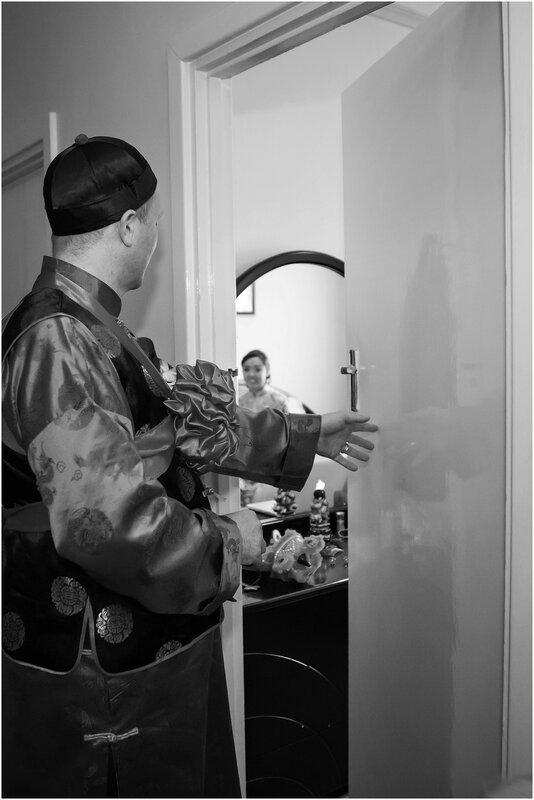 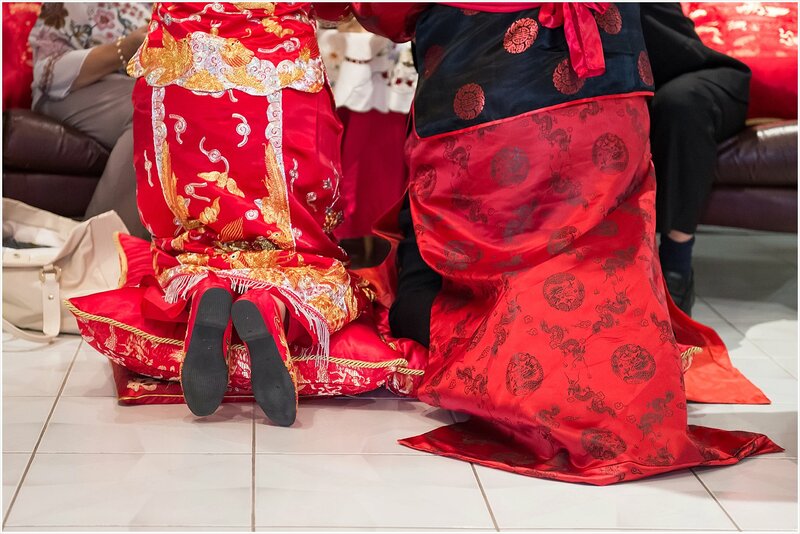 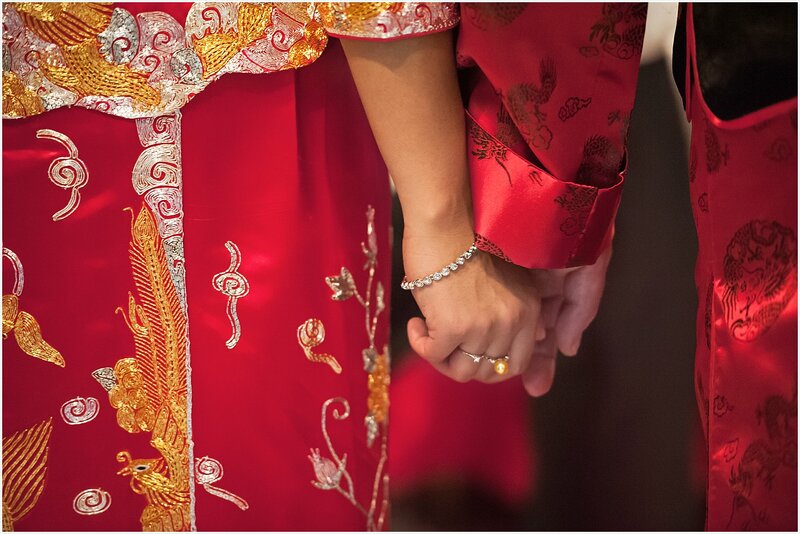 Day two of my Asian wedding photography experience involved a traditional Chinese wedding tea ceremony; the couple wore traditional outfits in red, gold and black. 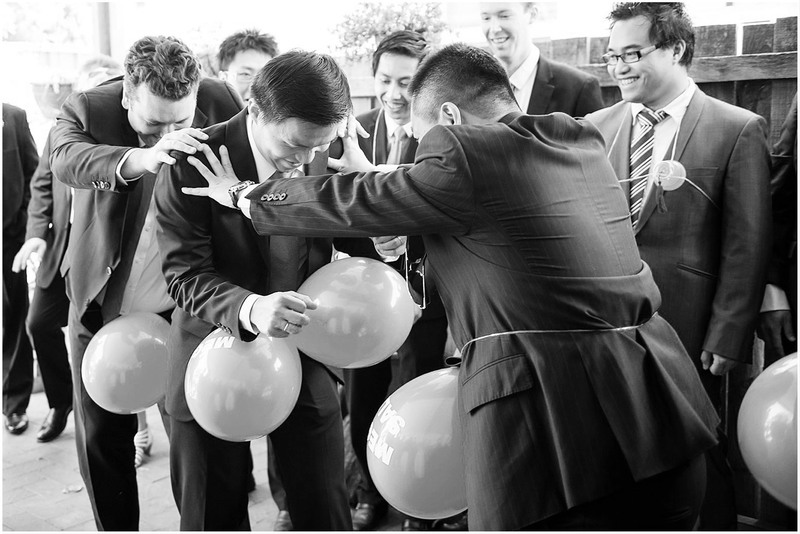 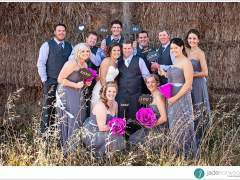 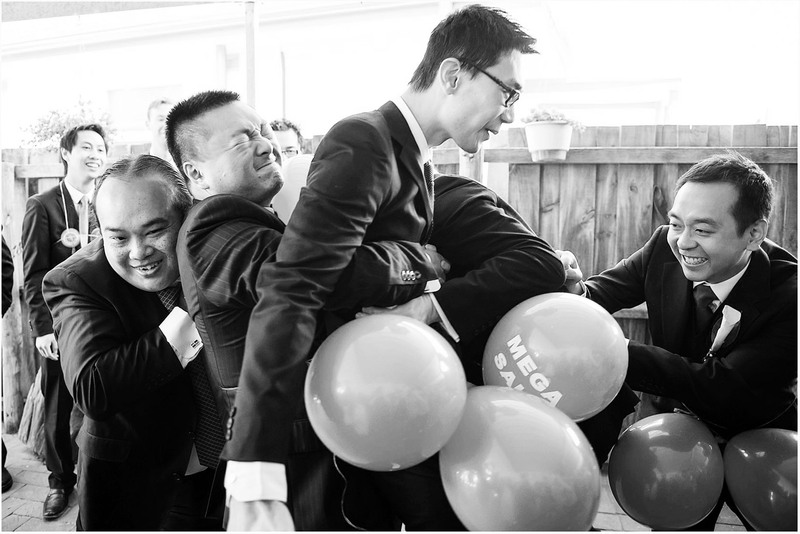 Outside, the groom was treated to numerous challenges set by the girls while the bride, her grandma and her family watched on in laughter inside. 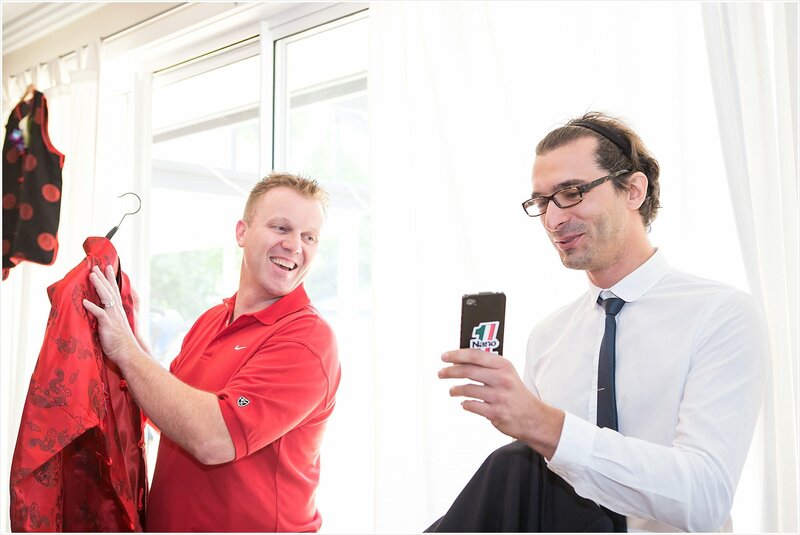 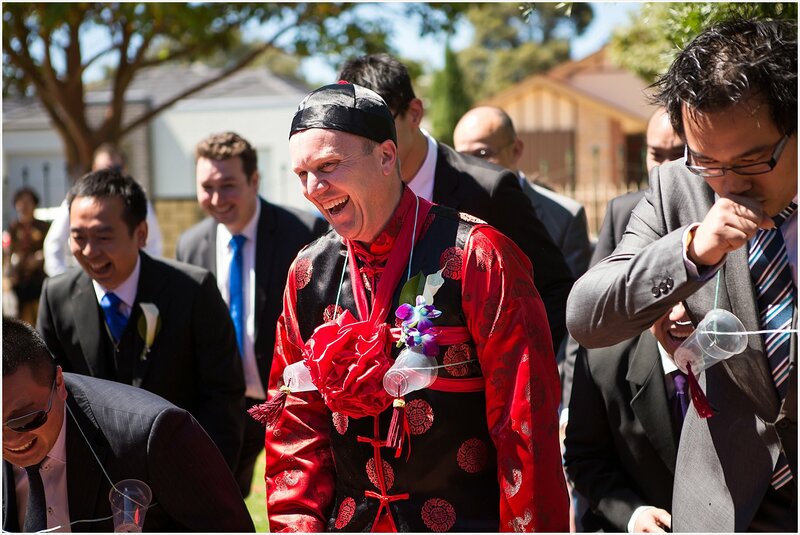 I may have had tears of laughter behind the camera, it was so hilarious, and everyone was filming with iPhones, iPads, go pros, cameras, it was all happening. 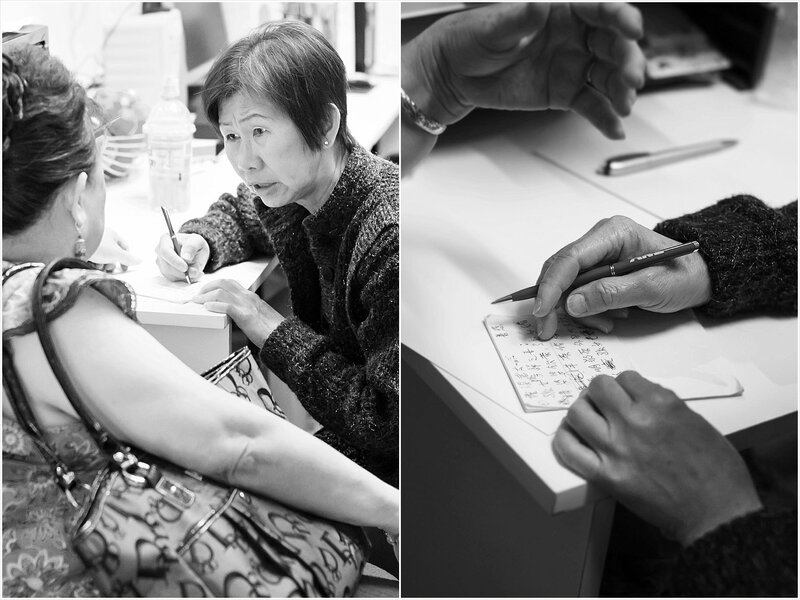 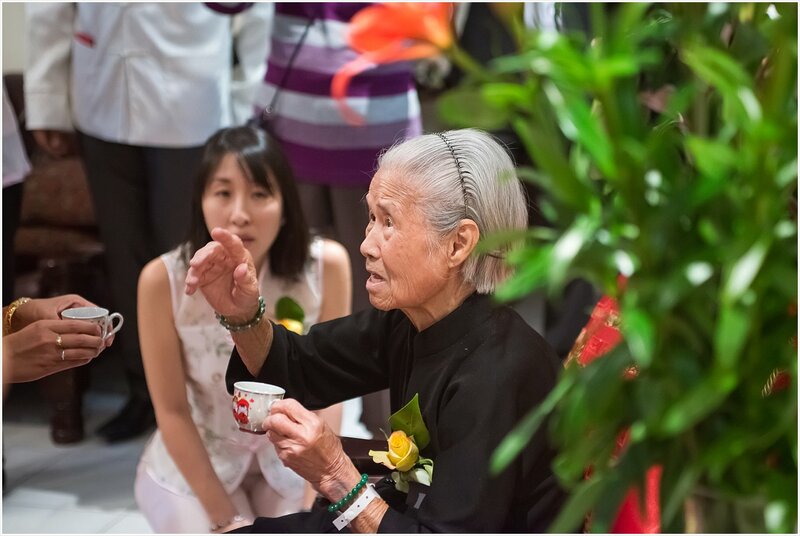 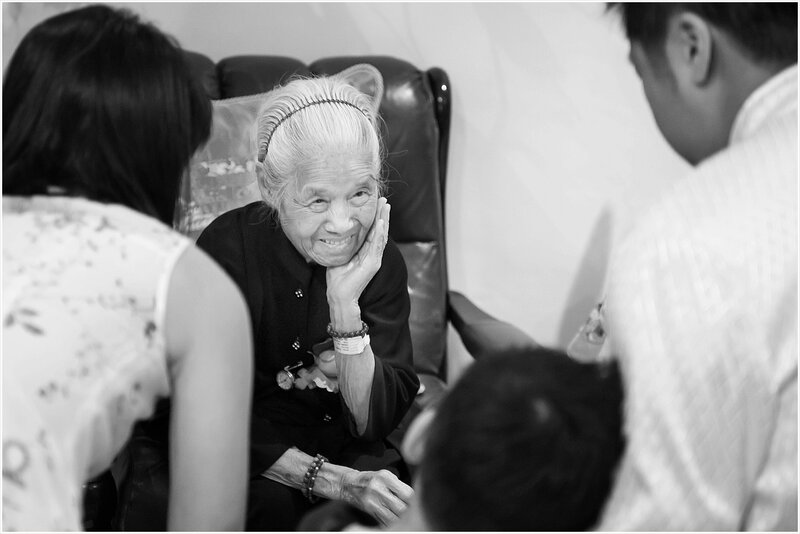 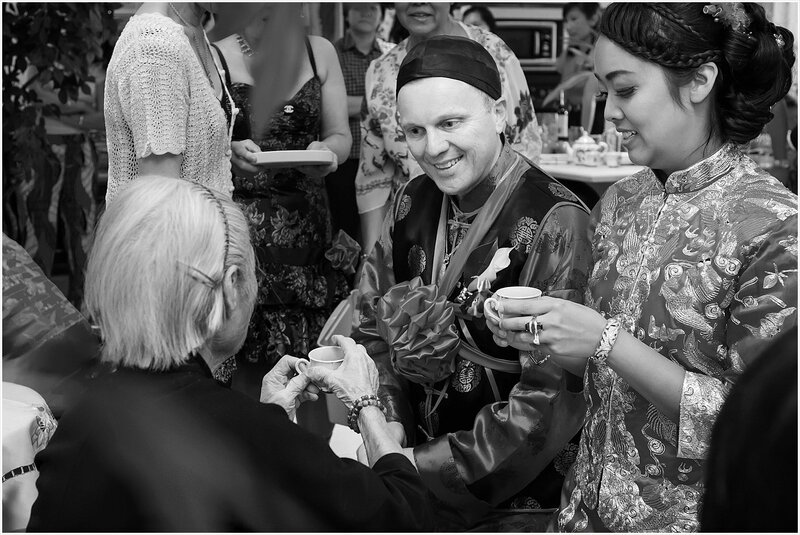 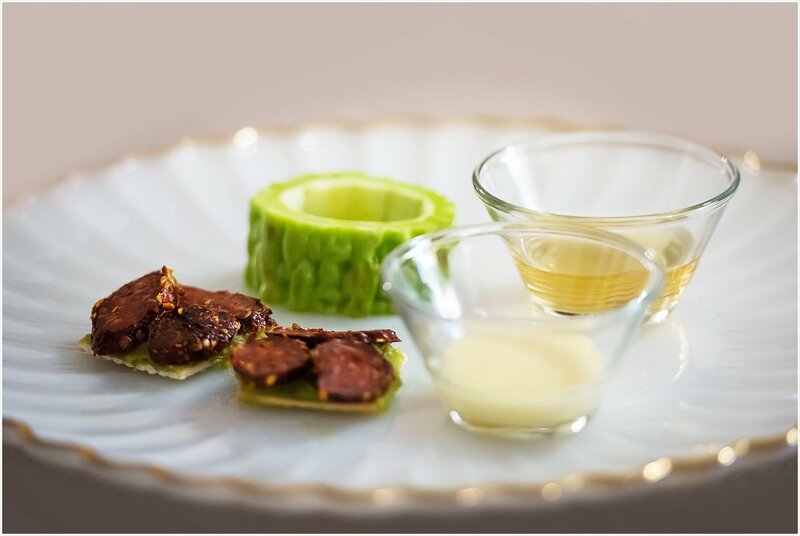 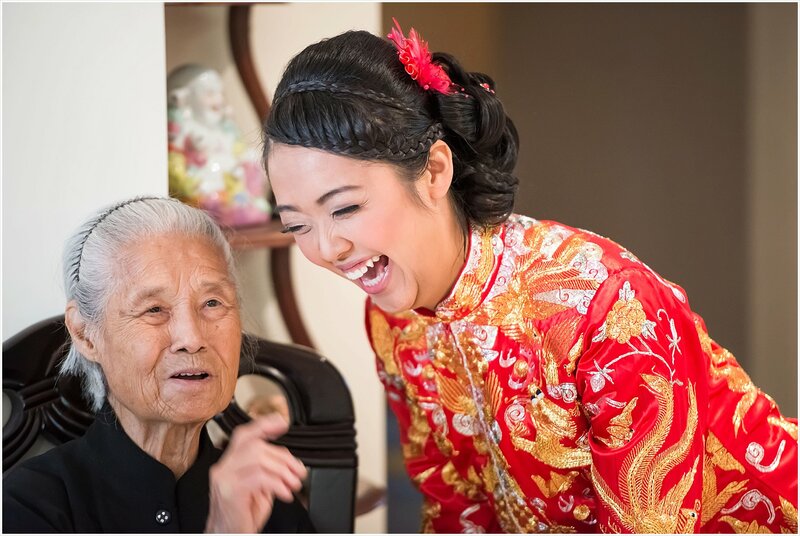 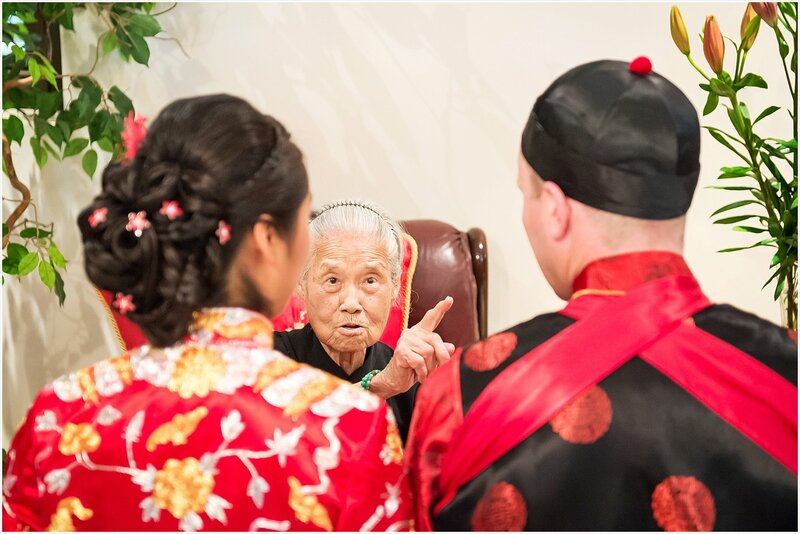 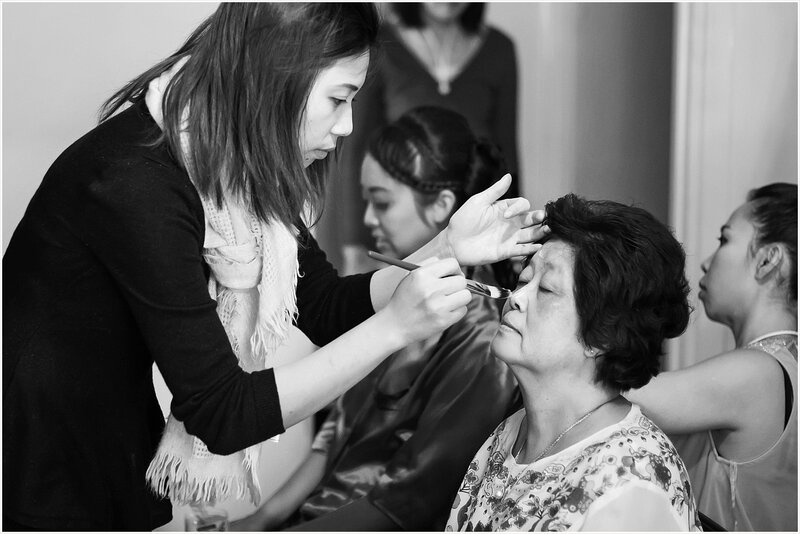 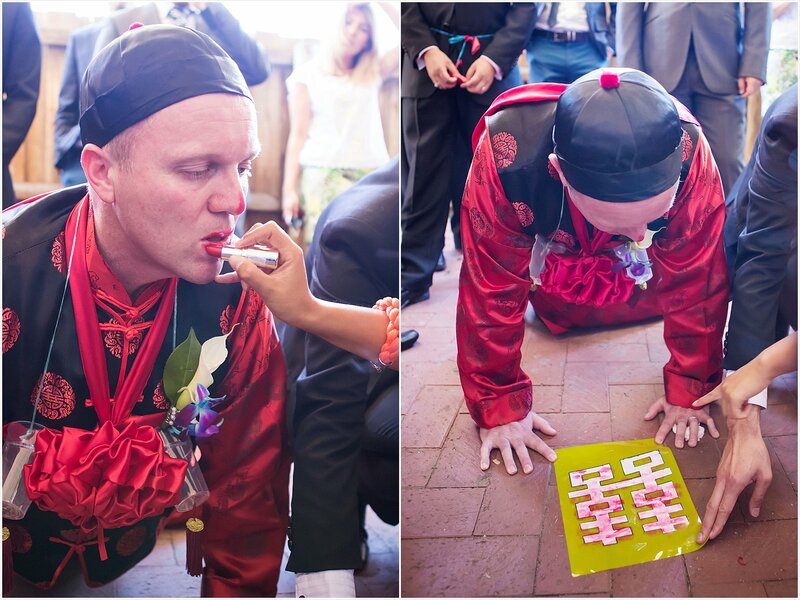 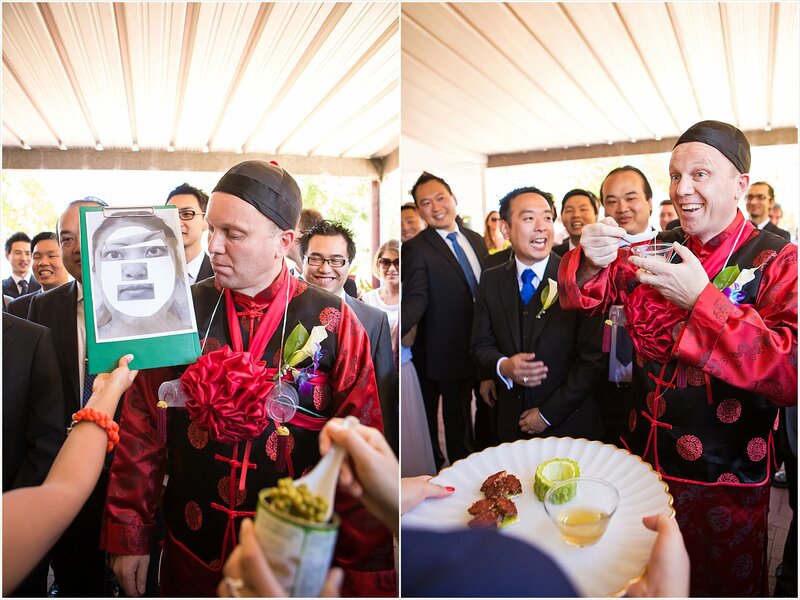 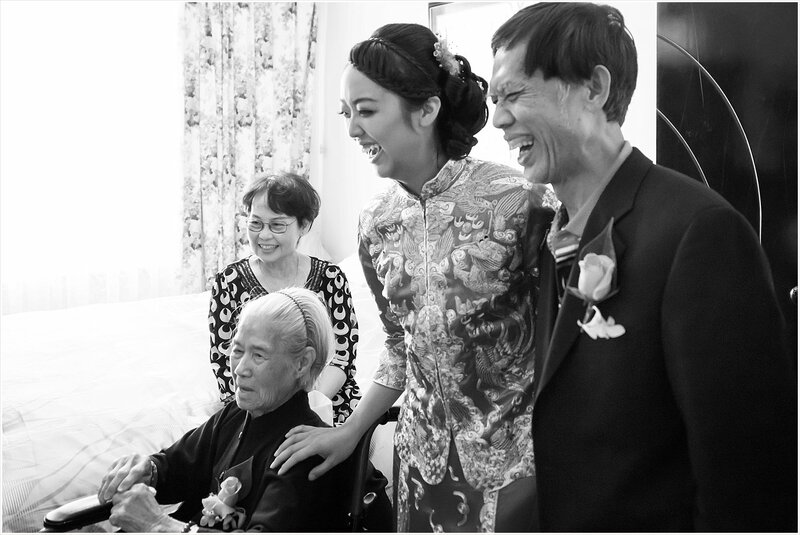 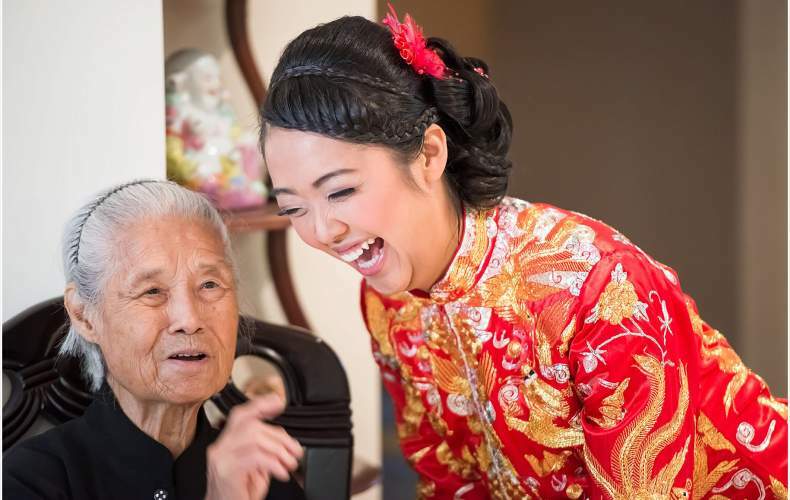 The Chinese wedding tea ceremony itself was so interesting, and I was thankful that I was given the opportunity to capture something so intricate. 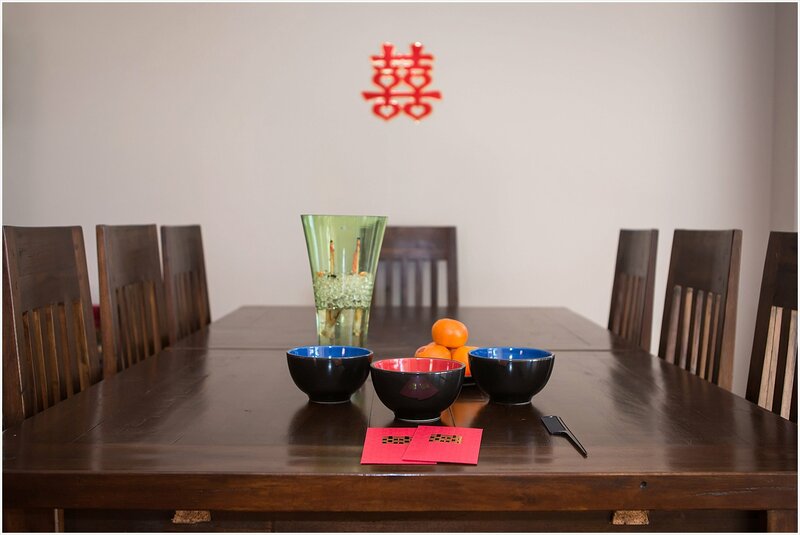 I already knew about the significance of the colour red in Chinese culture, it symbolises joy and good fortune but it was the first I had learnt of the Double Happiness ligature. 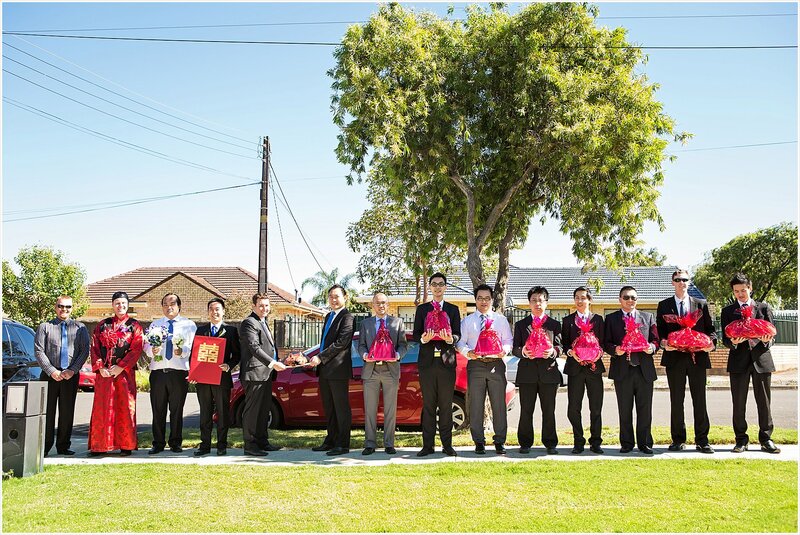 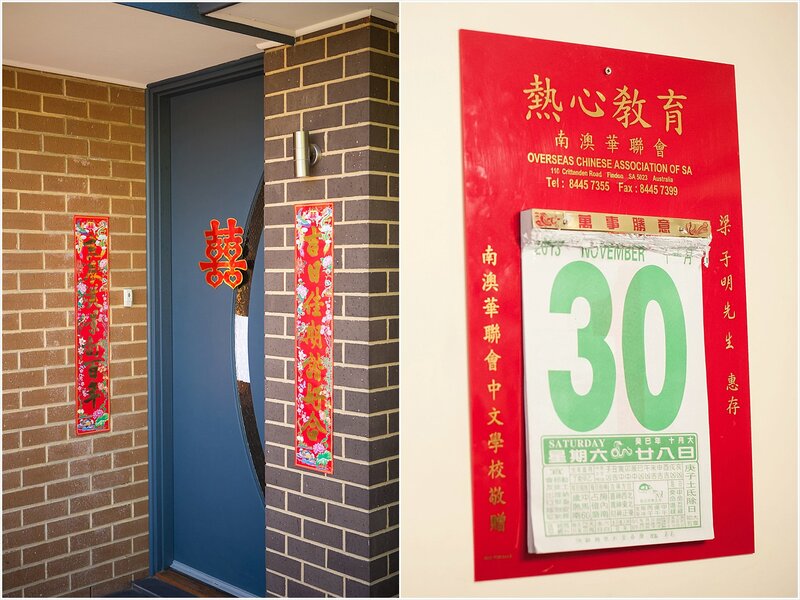 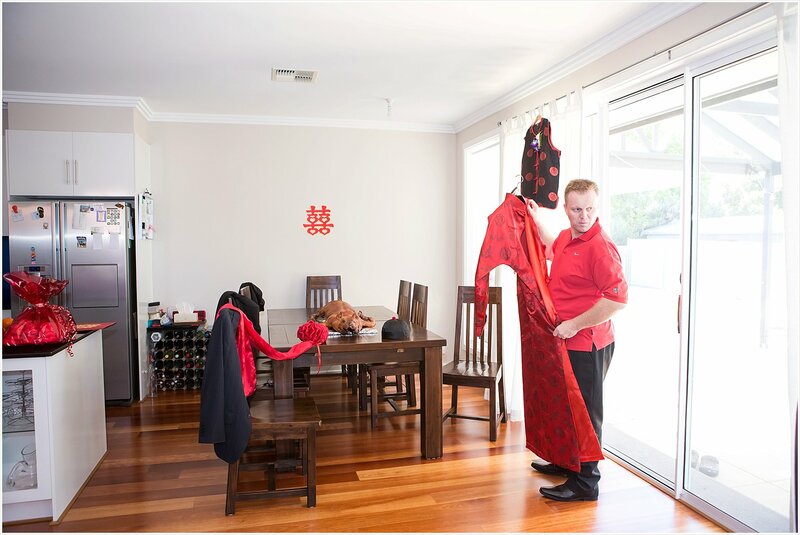 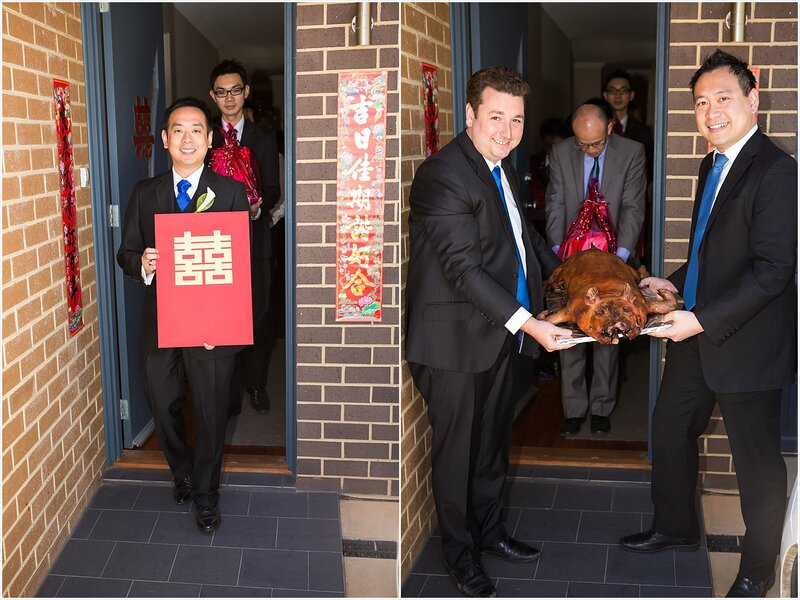 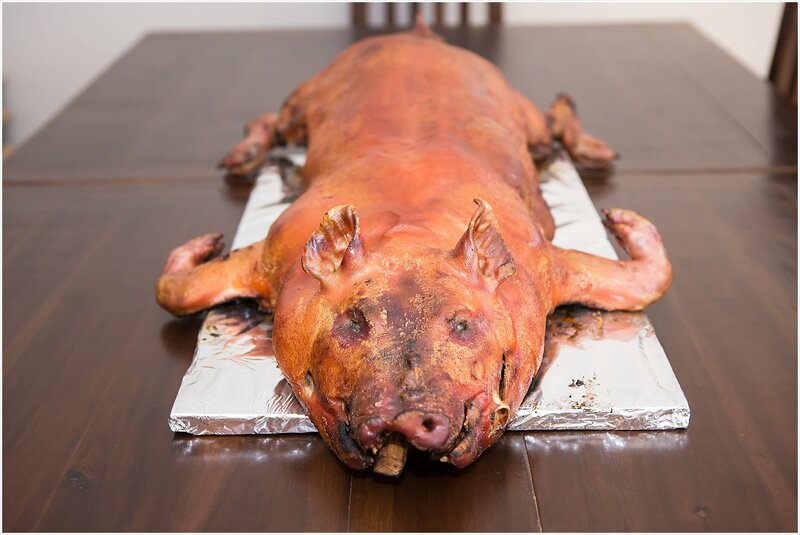 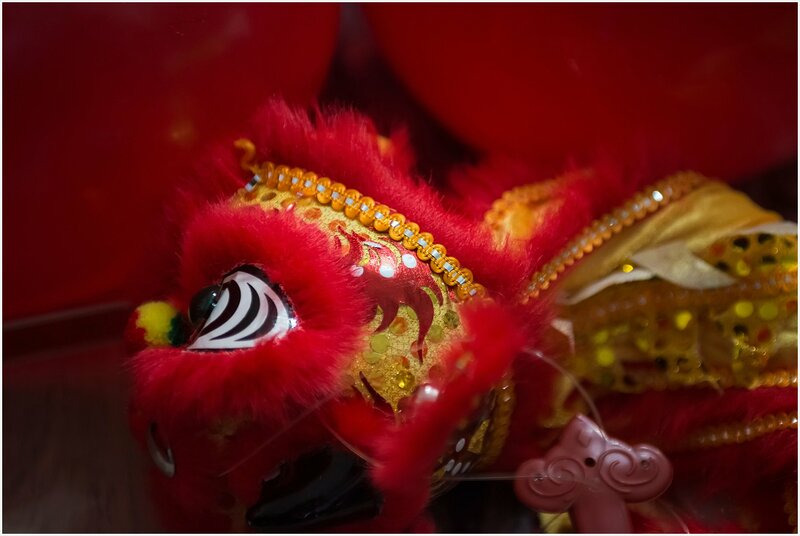 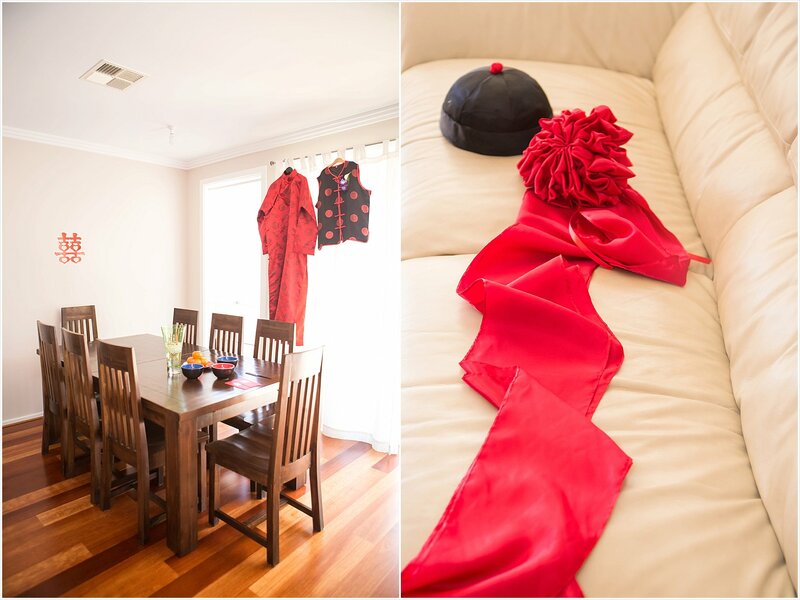 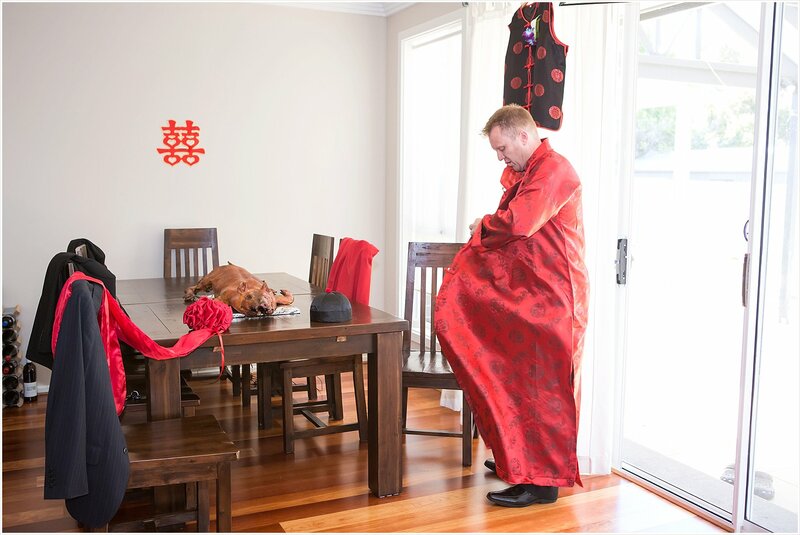 It is commonly used to decorate Chinese New Year Celebrations, and for weddings is printed or cut into red paper and displayed as a prominent piece in the wedding decorations so that it catches the eye. 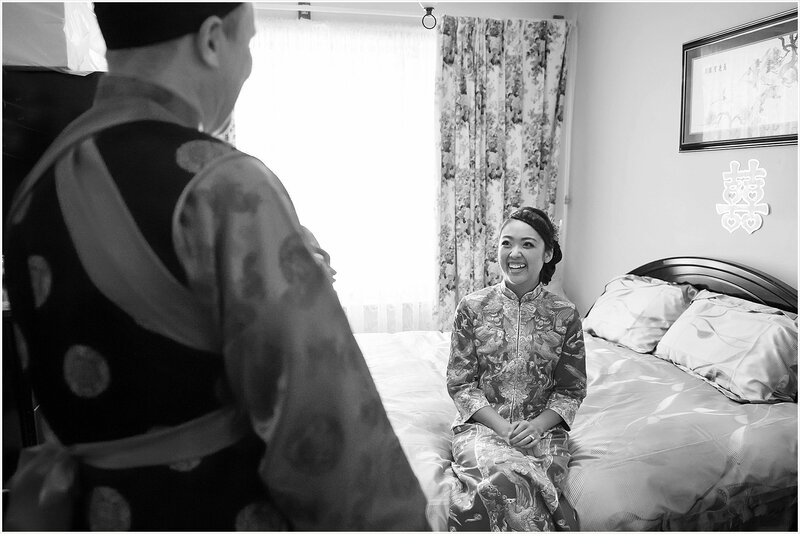 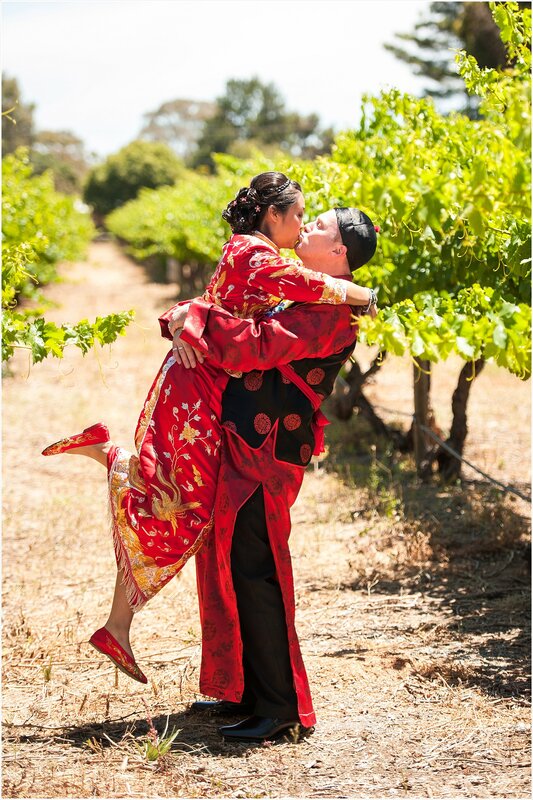 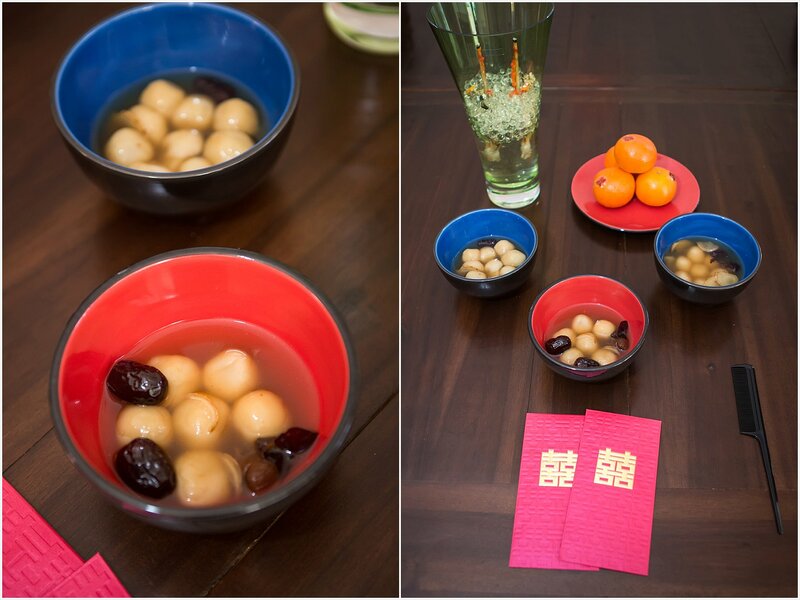 The story behind the Double Happiness characters tells of first love, its strength in testing times, and how it was displayed at the wedding. 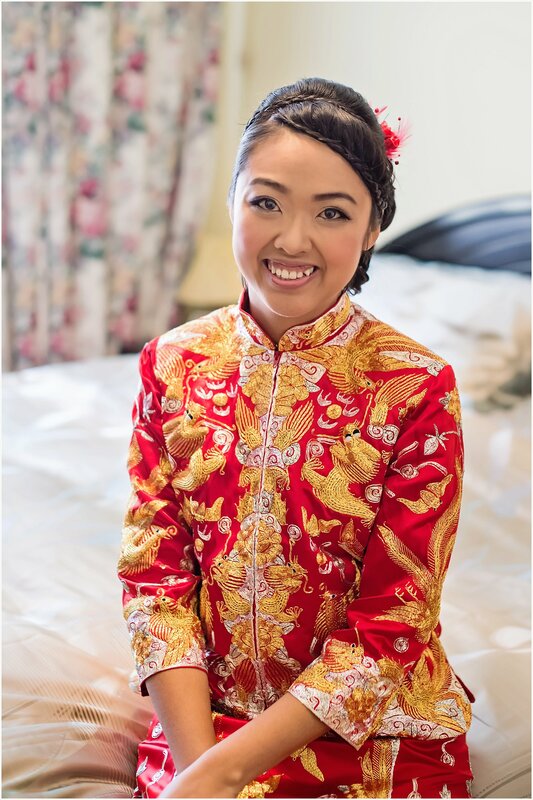 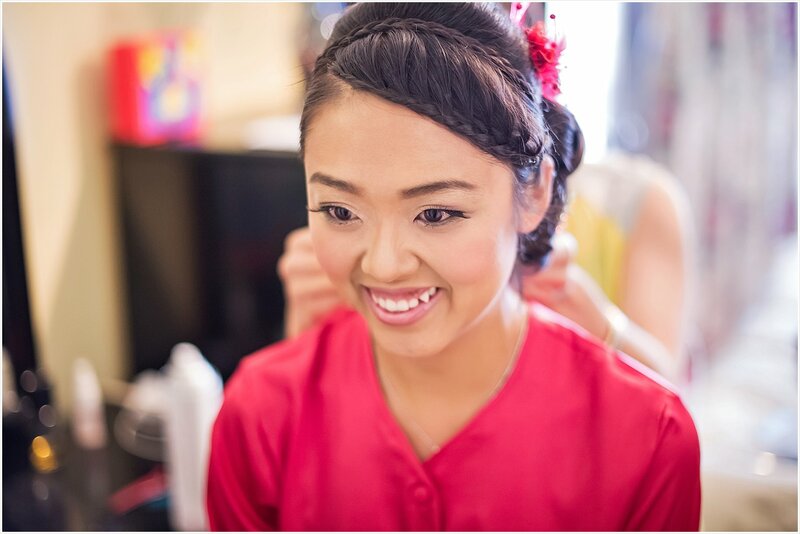 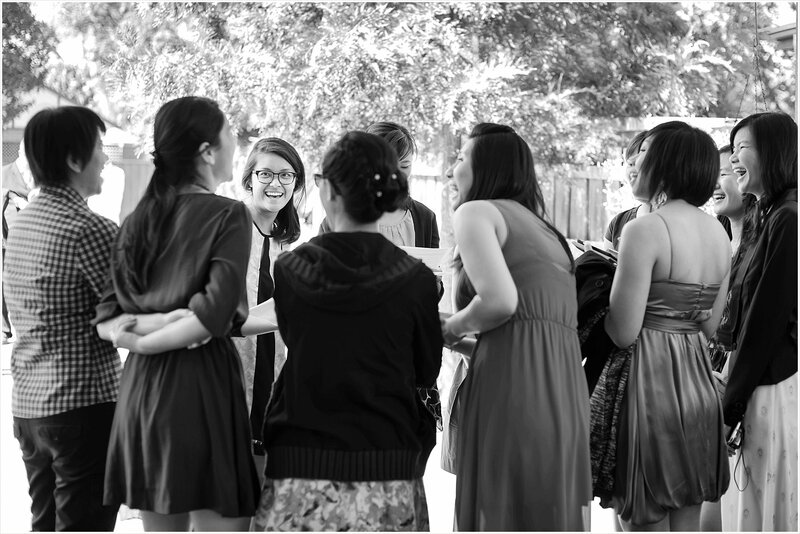 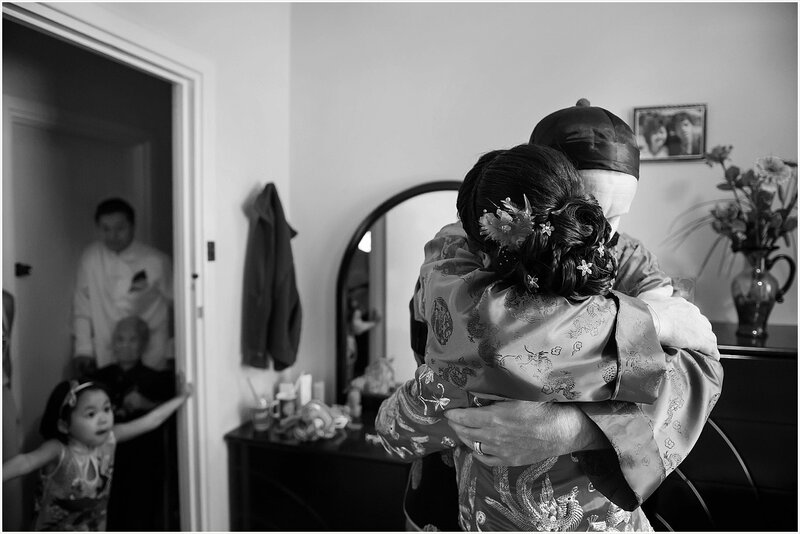 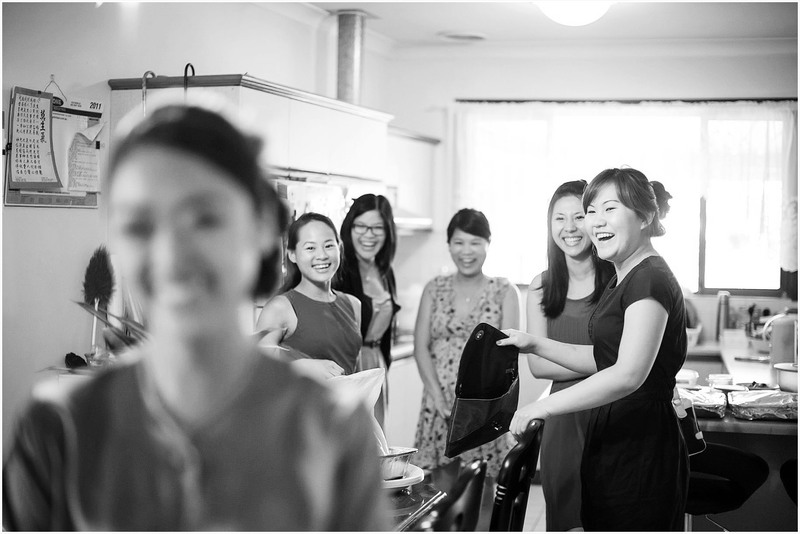 Your fun fact for the day to go along with my first experience in Asian wedding photography!